Here's another transformation treasure story. 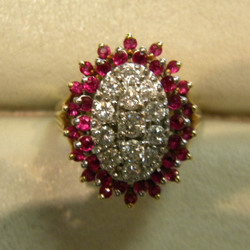 A lovely lady and her daughter came in to recreate her mother's ruby and diamond ring. 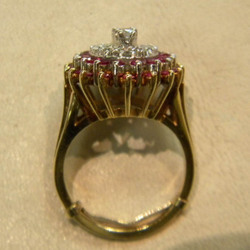 An oval center filled with varied sizes of diamonds was set in white gold and was surrounded by two rows of small round rubies. The goal was to make a smaller ring for Mom and create something with the rubies for her daughter. We took the center white gold portion, surrounded it with a yellow gold trim and a support undercarriage. 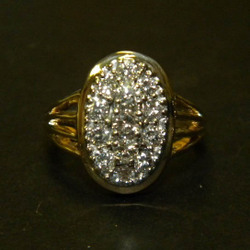 Adapting her original ring allowed the view from the side to be similar to the original ring style. The rubies were used to create a stunning pair of drop pierced earrings. Imagine the sentiment of both ladies wearing their mother and grandmother's stones. The original ring had a center portion of diamonds set in white gold, surrounded by two rows of rubies and a split yellow gold shank. 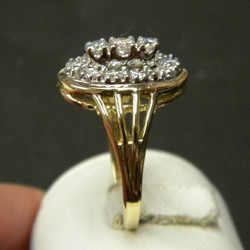 We removed the center white gold portion and added a rim of yellow gold. Her existing shank was put back on after building a new support beneath the center section. Tops and side views of her new diamond ring. 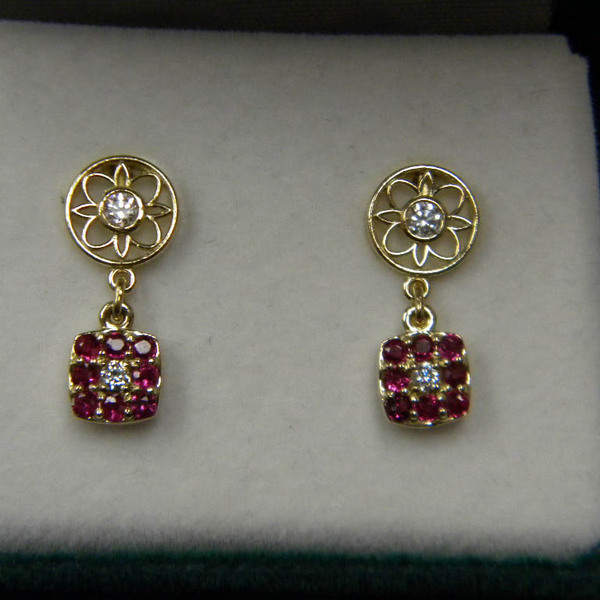 And her daughter received these awesome earrings using the rubies from the original ring. Elegant! 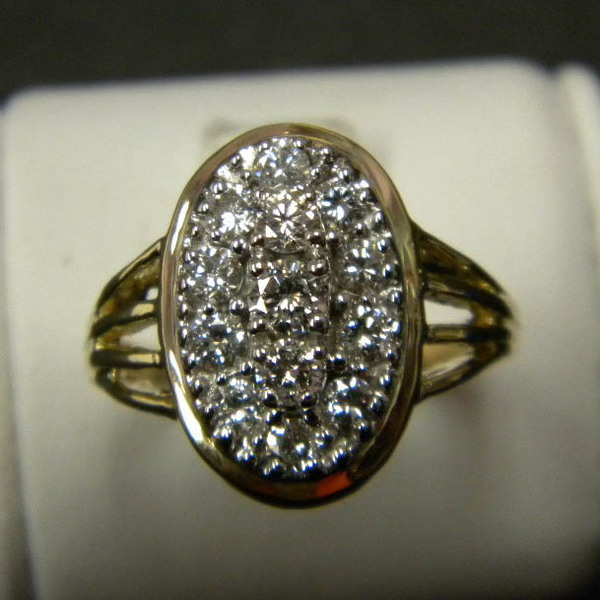 Give us a call or visit us today and see what Diana Jewelers can do to give new life to your unworn jewelry!